Clearly, Paula Deen wasn’t using her brain when she talked to that attorney who was deposing her. I mean, she definitely didn’t spend a lot of time working on spin. Otherwise, pretty sure she would have come up with a better answer than the one she gave when the lawyer asked whether Ms. Bacon-wrapped Doughnut ever used the N word or any other racial slur. “Of course,” she said, and the country erupted in riots all over social media. At least give Paula points for honesty. This situation presents an interesting opportunity for the rest of us to engage in dialogue about race and language and understanding, but the cynic in me thinks it’s doubtful any real change will come about because of Paula Deen’s racist utterings, be they past or present. She’s lost a dozen business deals in the last two weeks, as businesses from Wal-Mart to Smithfield Ham to the Food Network drop her like a twice-baked shrimp-stuffed baked potato. But here’s the thing, people. This whole deal, erupting like a chocolate volcano cake, shouldn’t surprise anyone who either grew up in the South or pays a modicum of attention to race relations in the United States. Just because Americans can elect an African-American president does not equate to the end of all racial issues in the United States. We aren’t “over” racism because it’s so insidiously present in most aspects of American life. For parts of this country, it’s not so readily apparent. There’s a lot of political correctness going on all over the place, a lot of righteous indignation. But while everyone’s up in arms over Georgia restaurant-owner/TV chef/cookbook author Paula Deen performing a mea culpa, the Supreme Court of the United States basically threw out the Voting Rights Act. Which one of those acts does greater harm to minorities? Not that I’m minimizing the whole Paula thing. I’m just not surprised that she said and did those things. I’m not condoning it, but it doesn’t destroy my image of the Southern-fried cook because I just assumed she thought and acted that way. I’m basing that, naturally, on my own experiences growing up in the mid-South. I grew up in a small town in southern Missouri. There were equivalent numbers of whites and African Americans living there, but society was anything but equal. When I was a kid, black families only lived in certain parts of town. Schools had not been integrated for too many years when I started kindergarten. When my parents moved there, a nice older lady sent her black maid over to my parents’ house to help my mom, and then advised Mom to hire her own maid so everyone would know what rung of the social ladder she occupied. Folks of different races got along in that town, and still do, but for many, it’s an uneven relationship. It’s paternalistic, magnanimous, a landowner-sharecropper situation. Not unlike how Paula Deen herself no doubt feels about many of her African-American employees. She likes them, she respects them, but she really doesn’t consider them her equal. It’s easy for those in ivory towers to say that slavery ended more than 100 years ago – get over it. But it’s hard to get over it when the oppression is so much a part of the system, and this is what drove Paula Deen. It explains why she didn’t put any spin on her honest answer to the attorney who deposed her for that discrimination and sexual harassment lawsuit. She can’t understand how she is part of the oppression. For that, I feel sorry for Paula. She really doesn’t understand how just by virtue of being born white, she enjoys privilege. I believe her when she says she never meant to hurt anyone’s feelings or offend anyone and that she’s appalled that others think she would act that way. She didn’t and doesn’t make racist comments to be racist. She has said them because that’s so much a part of her Southern identity, just like corn casserole and fried chicken. It doesn’t make it right. It will never be right. 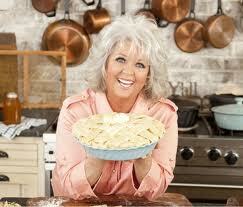 The better response for all those companies who are firing Paula Deen? Band together to mount an educational campaign. Teach those who’ve never lived it up close about systemic oppression and racism. Fight ignorance with information and teach America a few things.